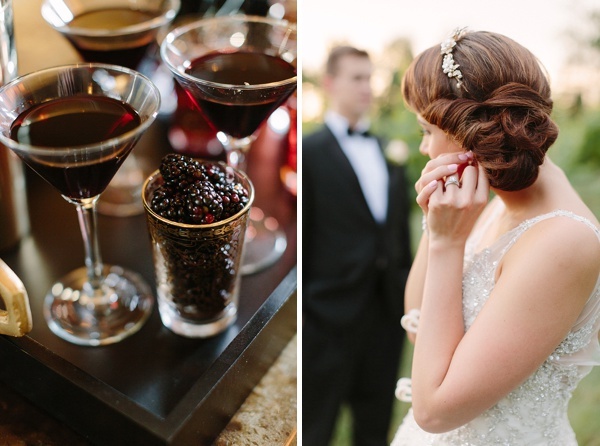 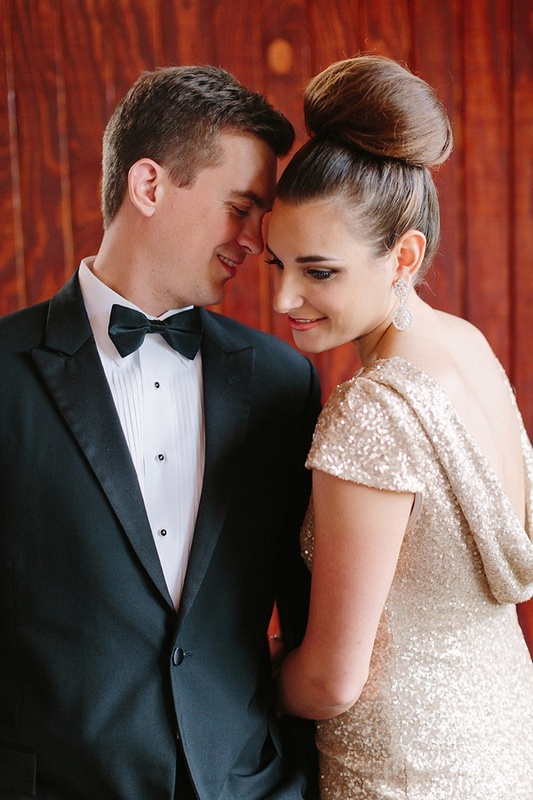 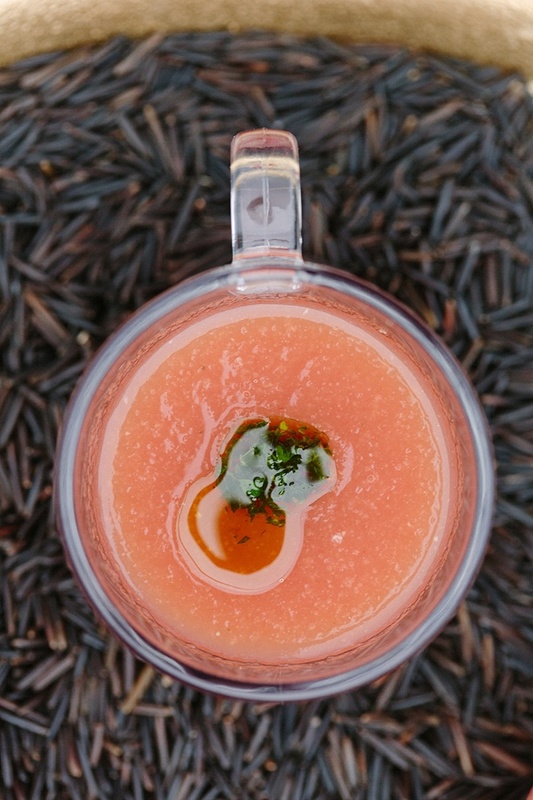 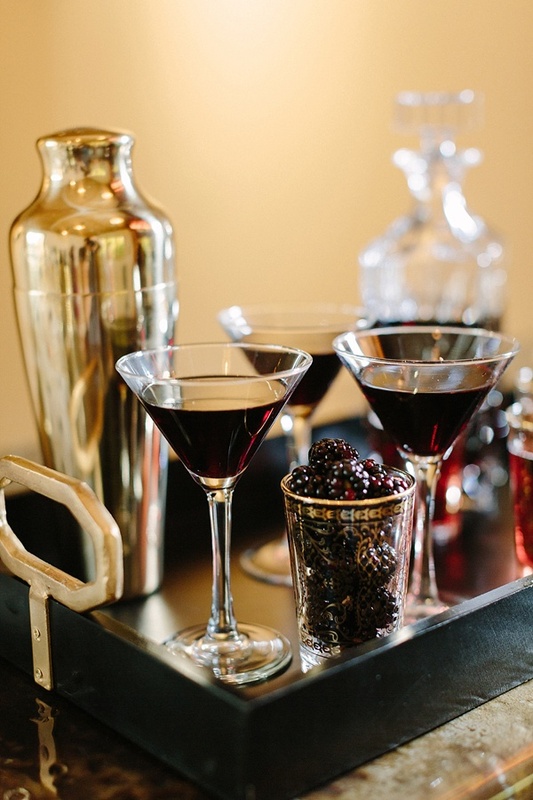 You cannot help but think of a big, bold, and glamorous celebration when you think of New Year's Eve. 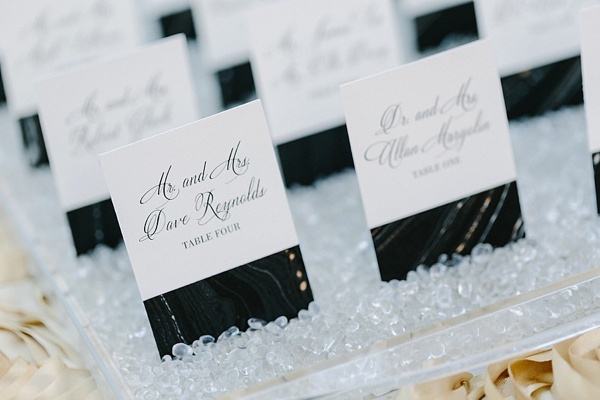 When a couple chooses to say their vows on a day that will soon become a brand new chapter in life and marriage, they tend to want to dream big, embrace the vivacious elegance of the holiday, and truly make it an unforgettable, once-in-a-lifetime kind of experience for their guests. 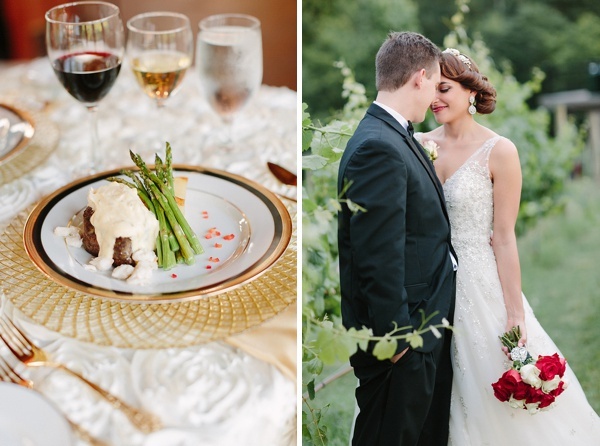 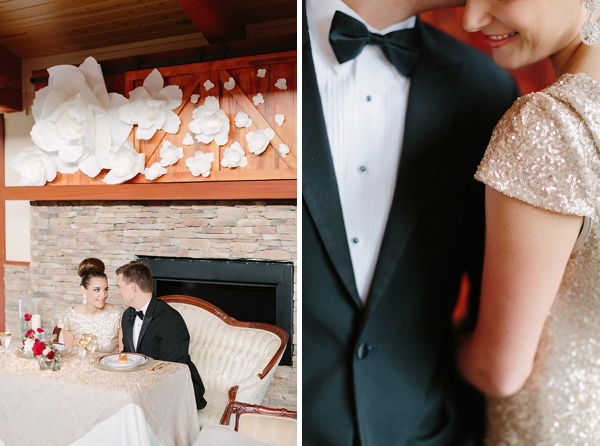 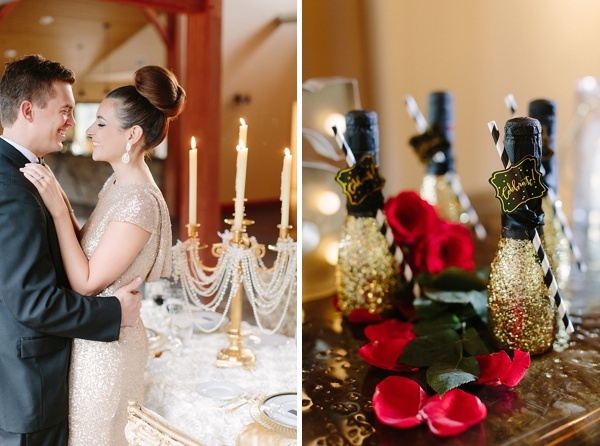 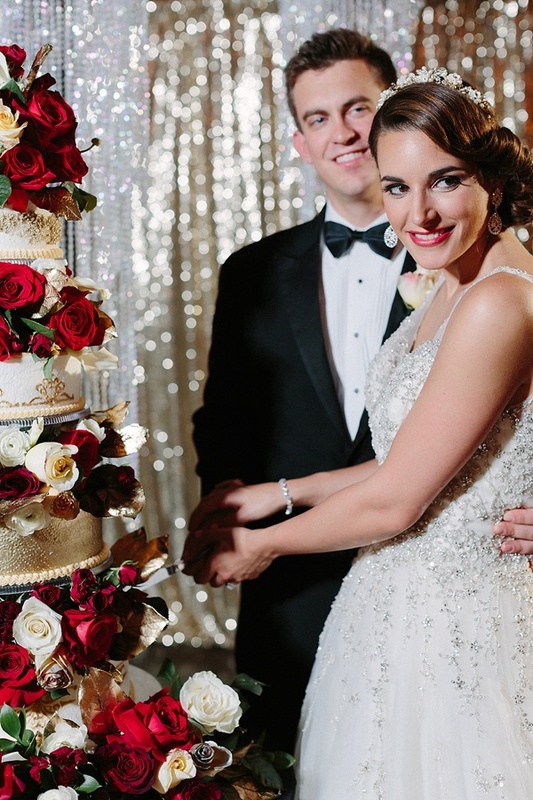 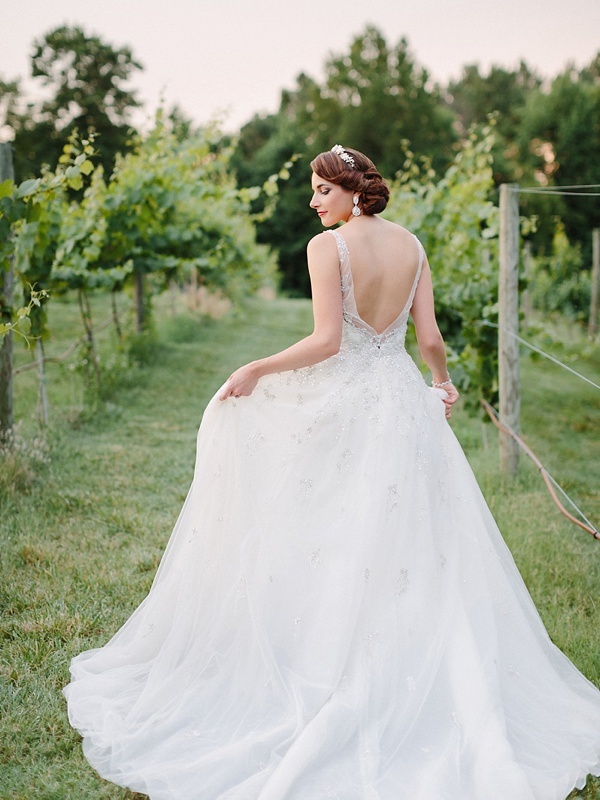 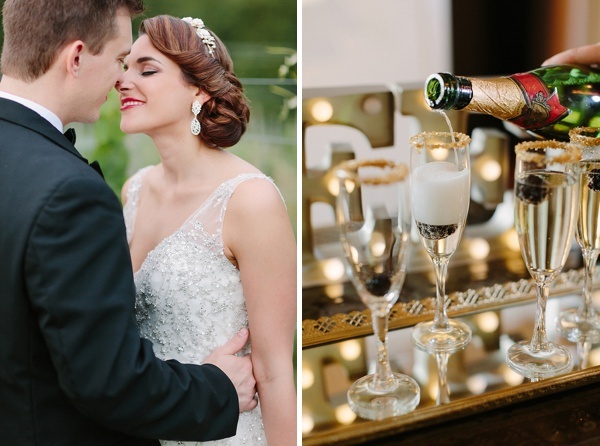 Radiant with glittery golden details, surrounded by artfully-created gourmet delights, and glowing with ultra-chic romance, it is New Year's Eve personified in this gorgeous stylized shoot at Ashton Creek Vineyard located just outside of Richmond, Virginia. 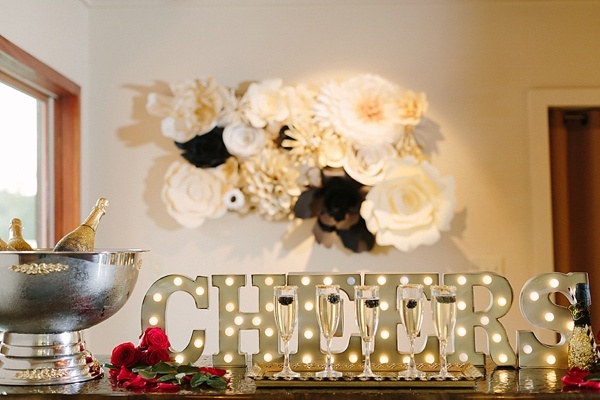 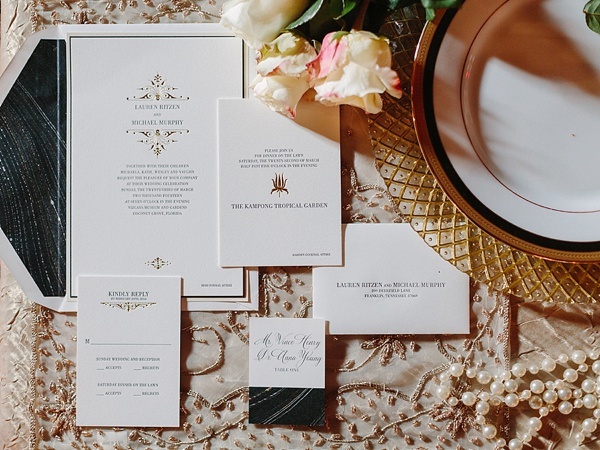 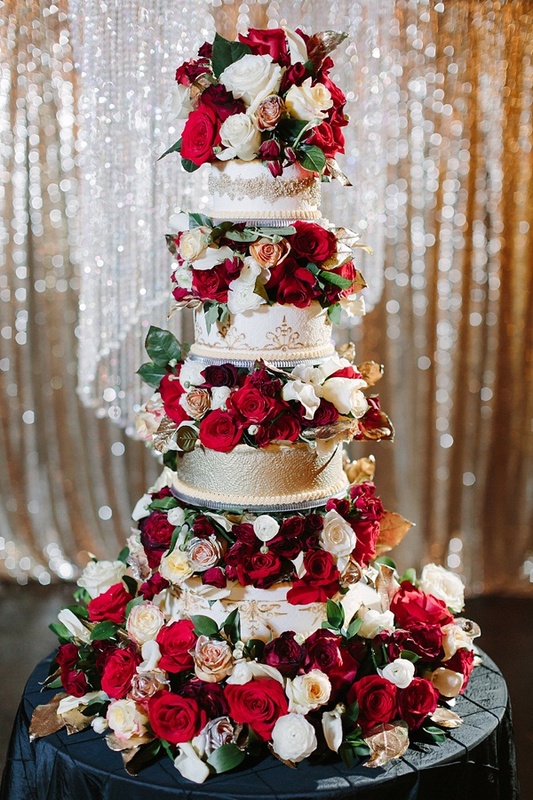 The entire creative team envisioned an extravagantly beautiful wedding scene with enough details to keep you dreaming and swooning for that midnight countdown. 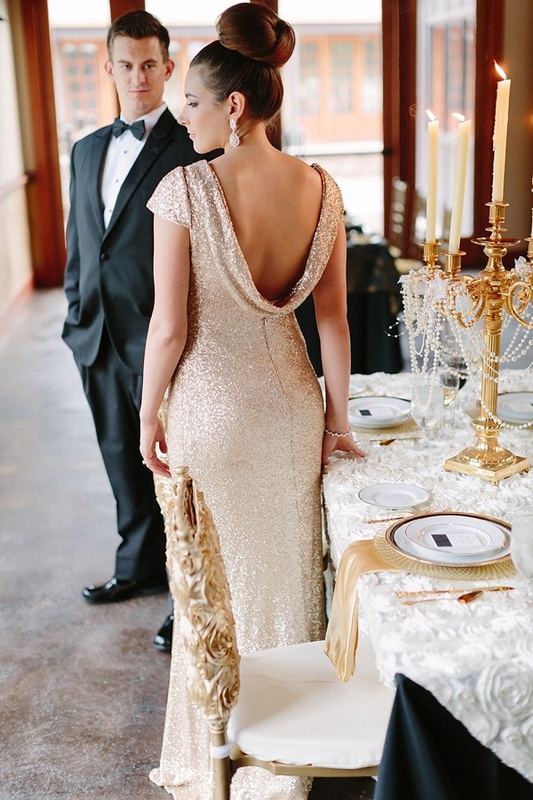 Captured by David Abel Photography and coordinated by Kim Moody Design, we see a bride who changes from a ceremony-perfect bridal gown and classic updo to an alluring golden cocktail dress and sleek modern hair bun for the reception party, a larger-than-life wedding cake that pays homage to all things luxury, and perfectly poured gold-rimmed glasses of champagne... and it basically makes us so ready to sing Auld Lang Syne!